Illegal Gambling Clubs of Toledo is only $25.95 plus $3.99 domestic shipping. Use the Add to Cart button and you can check out through Paypal. 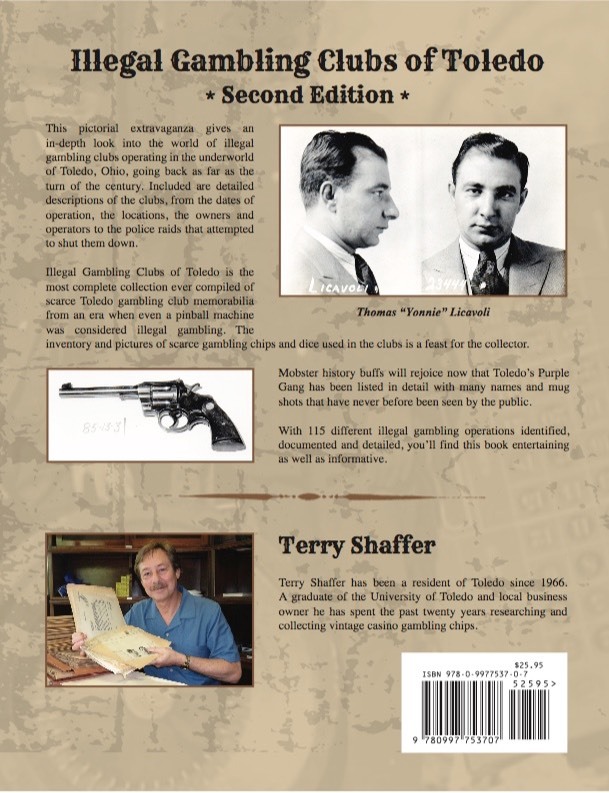 This pictoral extravaganza gives an in-depth look into the world of illegal gambling clubs operating in the underworld of Toledo, Ohio going back as far as the turn of the century. Included are detailed descriptions of the clubs, front the dates of operation, the locations, the owners and operators to the police raids that attempted to shut them down. 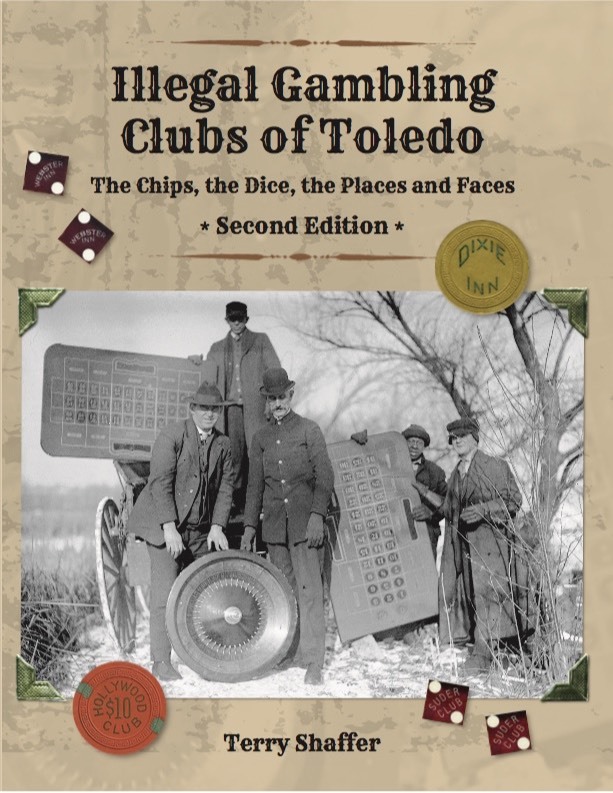 Illegal Gambling Clubs of Toledo is one of the most complete collections ever compiled of scarce Toledo gambling club memorabilia from an era when even a pinball machine was considered illegal gambling. The inventory and pictures of scarce gambling chips and dice used in the clubs is a feast for the collector. Mobster history buffs will rejoice now that Toledo’s Purple Gang has been listed in detail with many names and mug shots that have never before been seen by the public. With 115 different illegal gambling operations identified, documented and detailed, you’ll find this book entertaining as well as informative. Terry Shaffer has been a resident of Toledo since 1966. 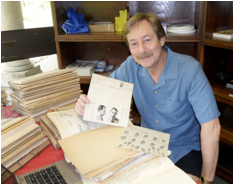 A graduate of the University of Toledo and local business owner he has spent the past twenty years researching and collecting vintage casino gambling chips and Toledo’s illegal gambling history.